THE DECEMBER GIRL DIARY: The most wonderful time of the year is fast approaching! 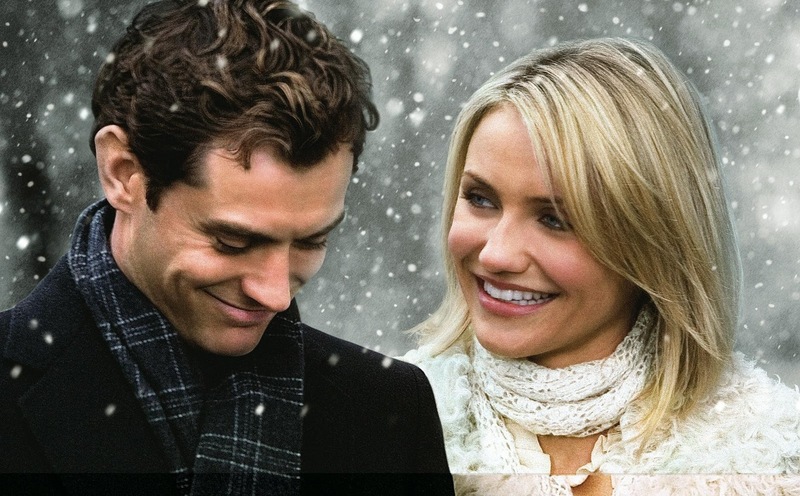 Last night as I finished one of my all time favourite holiday movies "The Holiday"... I sat there in my bed... feeling different. More content with life, calm, appreciative, excited... This is what the Christmas season does to me ( and to many others I believe). It makes us feel as if nothing is wrong in the world. On this ever so warm sunday afternoon, I took my long overdue stroll down Central Park, and noticed something different. There were still millions of people walking along the streets, some tourists, some native New Yorkers...but what was so apparently different then the previous time I have stepped outside. ... Everyone was smiling. There was so much joy that filled the air. Couples strolling down 5th Avenue, families enjoying a picnic on the hill, children laughing at they climbed the Alice in Wonderland tribute. This was a breath of fresh air to the usual time consumed citizens that fill the streets. Best of all, as I got lost down a few streets, I stumbled upon 5th Avenue. It was breathtaking... and this is only the beginning. The countdown has not even began for jolly Saint Nicholas's special day to arrive. Cheerful melodies filled the streets, glimmering lights shone above my eyes as I passed a tunnel of these golden trees, unimaginably wonderful mannequins reflected at me through the windows. If NYC keeps impressing me daily like this, I will never want to go back home. Only one thing was missing today... my mother and sister. Family. Nothing is as enjoyable alone in comparison to being with those you love most. DO YOU HEAR WHAT I HEAR IN THIS CLIP?! As the night skies arose, it was time to head back home. As I made my way to Union Sq, there it was. The store that was being ignored for the past week. Curiosity filled my mind with what goodies might be hidden between the shelves of the 'black friday' book sale. I examined several shelves, but would not give up, because something told me I would find 'the book'....and of course 1/2 an hour later there it was. Lying on top of a few old cookbooks " Suzanne's Diary for Nicholas" has caught my eye. As I came home, I enjoyed some fresh goat cheese , grapes, and a baguette all for 7$. Overall I sat there eating my late supper completely satisfied with my day. It was more then I was expecting. I guess the best things really come when least expected. ** Note: Fresh air did help clear up my flue partially... maybe one more walk tomorrow and it will be gone? !